With my first 5K down training has begun for a 10K. Although, I don’t officially have one lined up it’s logically my next goal. I did signup for another 5K on July 14th, the Caleb 5K. The run is to honor the life of Caleb Sterling Koke who relocated to Heaven, July 14, 2009. All the proceeds of the run benefit the Manos de Cristo, Saint Louise House, CAFB, Family Eldercare and Watoto, an ongoing Caleb Foundation Project in Gulu, Uganda. The I thought it would be good to recruit others to join me in this event and so far I have at least 2 people in on it. The goal will be to improve my time although I have not decided by how much yet. My 1st 5K I ended up at Pace: 13:40/M, Chip Time: 42:39, Gun Time: 47:21. I know the last mile on the next 5K is a gradual incline so I have to be prepared for that. 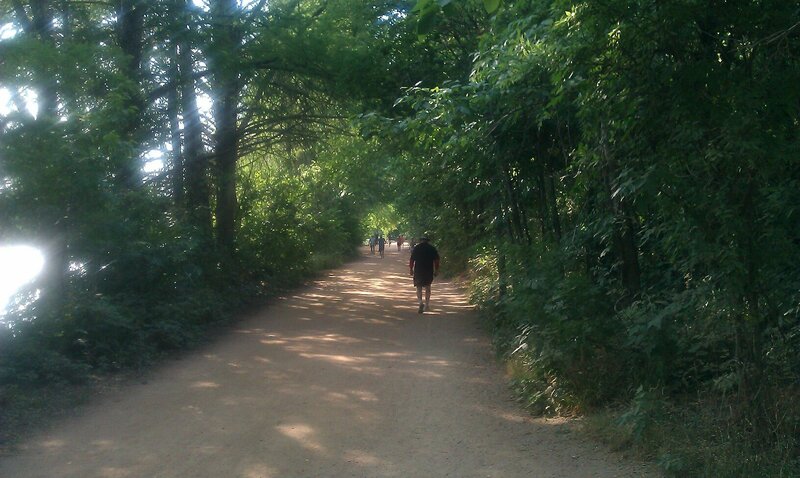 I have been running 3 days a week at the Town Lake Running Trail in the afternoons after work. The hills, inclines and heat make it a challenge for me. I still cannot run the 4.2 mile loop non-stop but I am building up to it. Granted it’s only about 90 degrees in the afternoons but it makes a difference. I want to keep running at this time as long as I can. I have a lot of weight to lose so I figure it will help me sweat some pounds off and build endurance. Staying hydrated is a necessity! I also have been encouraging others that want to start running to use the Couch25K app. It has been a great tool in helping me train. I will use the 5 to 10K training plan it offers to help build up for my next goal. Running is definitely not easy for me but it is something I enjoy doing. I have been bit, and I am excited to seem how much I can accomplish. I have been receiving lots of encouragement and tips from experienced runners. This goes a long way for me! I hope to give back some day myself. In the meantime I will keep running one day and one step at a time! This entry was tagged running, Town Lake Running Trail, training for a 10K. Bookmark the permalink.